Looking for good deals? Would you like to buy chairs for your terrace? Take a look at your GetFurnished.com online store, and you will find everything you need. With our attractive proposals for terrace and outdoor chairs for rent, you are sure to come away satisfied. We only promote the major furniture brands, such as SUMMER, ZARA or MAGDA. All our products are available for rental periods ranging from 1 to 36 months. So choose to indulge yourself, and rent a garden chair. Many models of patio chairs are available in our online shop to satisfy all your needs in this area. If you want to equip your garden or terrace at a lower cost, we are the ideal partner. 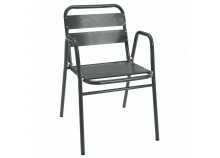 We offer terrace chair rental and terrace chair rental, at very low prices. 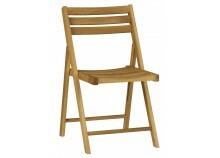 Feel free to browse through our section of outdoor chairs, the major brands are there, for your greatest satisfaction. Why rent a patio chair? It is not appropriate to buy a patio chair when you are only passing through. Moreover, deducting such a sum is not appropriate for a low monthly income exchange. Renting is therefore the perfect solution. By opting for leasing, you benefit from all the advantages associated with the acquisition of this product, without having to suffer any of the inconveniences. Rent garden and outdoor chairs, and enjoy the sun directly in your home. The Price: Get a good deal by renting a terrace chair or a terrace chair rental. Your GetFurnished.com online store guarantees you the best quality/price ratio in the rental market. Quality: The terrace chairs offered are manufactured by the most famous brands. And if the product you are renting does not meet your expectations, we will replace it as soon as possible. Simplicity: Take advantage of the friendly support of our customer service. As soon as you choose a patio chair, we deliver your products to the address of your choice. At the end of the rental period you have nothing to do, we are the ones who come to collect your acquisitions.